Home Chevrolet Silverado HD; GMC Sierra HD General Motors is recalling several of its Chevrolet Silverado HD vehicles and GMC Sierra HD vehicles due to a fuse block that may come loose and result in a fire. General Motors is recalling several of its Chevrolet Silverado HD vehicles and GMC Sierra HD vehicles due to a fuse block that may come loose and result in a fire. General Motors LLC (GM) is recalling certain model year 2015 Chevrolet Silverado HD vehicles manufactured January 8, 2014, through February 27, 2014, and 2015 GMC Sierra HD vehicles manufactured January 9, 2014, through February 14, 2014, and equipped with a 220 Amp Generator (RPO KW5). In the affected vehicles, the retention clips that attach the fuse block to the vehicle body can become loose, allowing the fuse block to move out of position. If this occurs, exposed conductors in the fuse block may contact the mounting studs or other metallic components, causing a short to ground event. 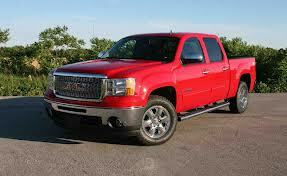 Got a lemon Chevrolet Silverdo HD or GMC Sierra? Want a new Chevrolet Truck?